All started when star Omari Hardwick aka Ghost kissed Beyonce twice. Everyone peek on that awkward moment during the NAACP Awards. Well 50 Cent keep showing difference ways to make money so he chime in for extra press and is all about his TV show. Don't be pissed off because the troll man only poke fun on Instagram just like we normally see him posting funny things. 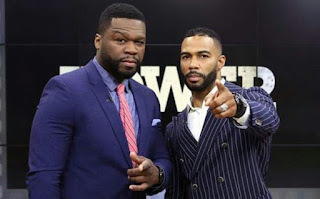 star Omari Hardweick, one of the POWER actor kissed Beyonce twice and 5O Cent then took aim on Instagram, faking Jay Z will kill Ghost in POWER 6 for kissing Beyonce during the recent NAACP Awards. Is just a retract, but it will make sense if Jay Z and his wife will feature in the next installment of POWER. At least make a cameo. “Season 6 of POWER Jay Z kills Ghost don’t miss it we lit. LOL jay was like the f*** is you doing pretty ni**a,” 50 Cent wrote.